2 terminal connector, cylinderical gear motor with a 6 ways encoder. 6 Ways: C1 Encoder A Phase and B Phase, Motor Power Supply Nagetive and Passive, Encoder Power Supply Nagetive and Passive. Used for treatment apparatus, safe box, robot, optic equipment, electronic game machine, coin refund devices, toy car etc. 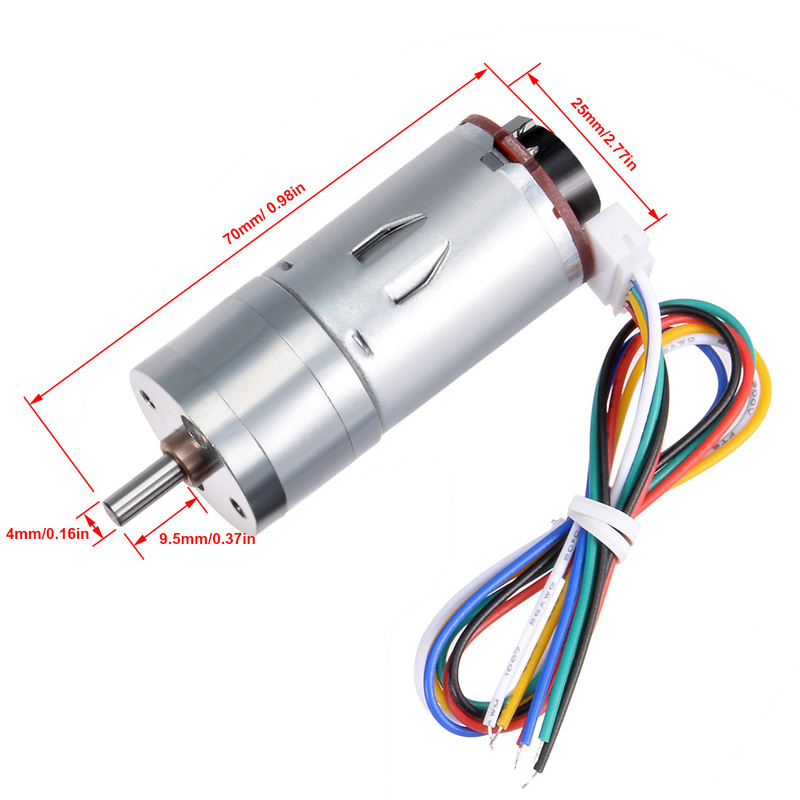 1 x DC Gear Motor , 1 x Wheel , several installation parts.